The BOCCO robot that has been raising funds over on the Kickstarter crowd funding website this month, and has just entered the final hours of its campaign but has already successfully raised enough funds to make the jump into production. The cute BOCCO robot has been designed to provide a connection to close relatives while you are away from home enabling you to interact with them using the robot. Watch the video below to learn more about BOCCO’s functions. “BOCCO is a wi-fi connected robot designed to keep you connected to your loved ones while you are away from home. Send a voice message from the BOCCO app, and he’ll play it back at home. 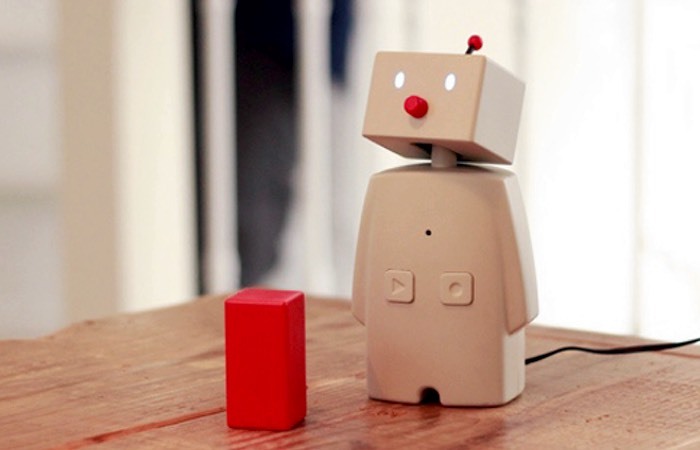 Speak into BOCCO, and he’ll send a message to other family members’ smartphones. You can also send a text message from the app which BOCCO will read out loud. Also included is a motion sensor which you be installed on a door to receive notifications of when your children arrive home from school or when your grandparents head outside. Because BOCCO is simple for anybody to use, he can be given to children or the elderly. He’s a great alternative to a smartphone, which can be addictive to young children and complicated for the elderly. For more information on the new BOCCO jump over to the Kickstarter website for details and to make a pledge from $220.